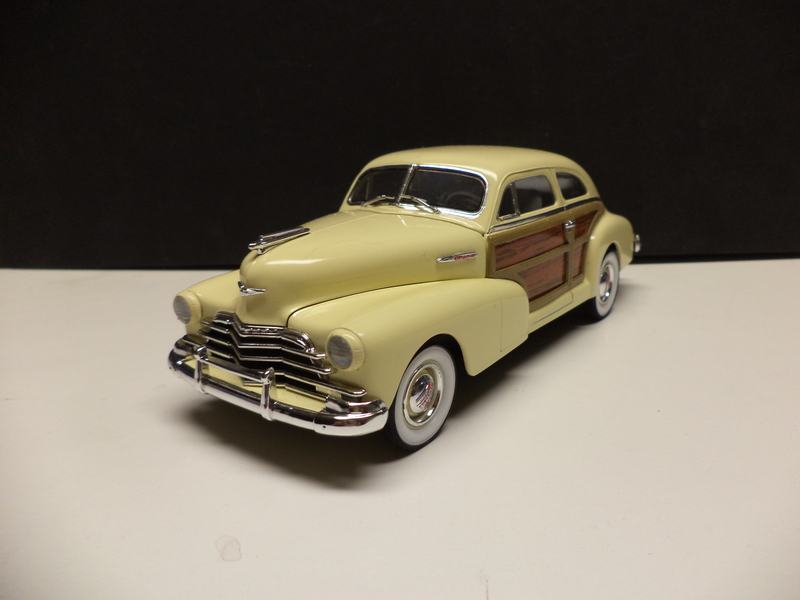 I built mine as stock with the supplied separate woody panel for the sides of the car. The kit also comes with two different colors of the wood panel inserts (decals) and lots of other decals to totally customize your ride. 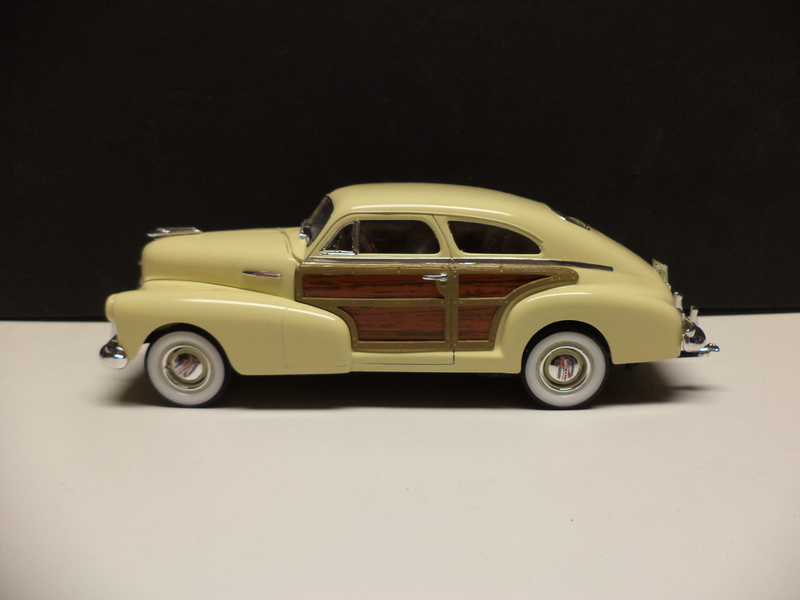 You can also build the model in either a 46′ 47′ or 48 versions. This is really just a different grill or grill add on but cool, none the less! Start by gluing the front fender assembly onto the main body first if you go by the instructions, this part will cause you a bit of a headache during the rest of the build! The optional chrome sun visor, lowered suspension, and snap-in white walls are a real plus . 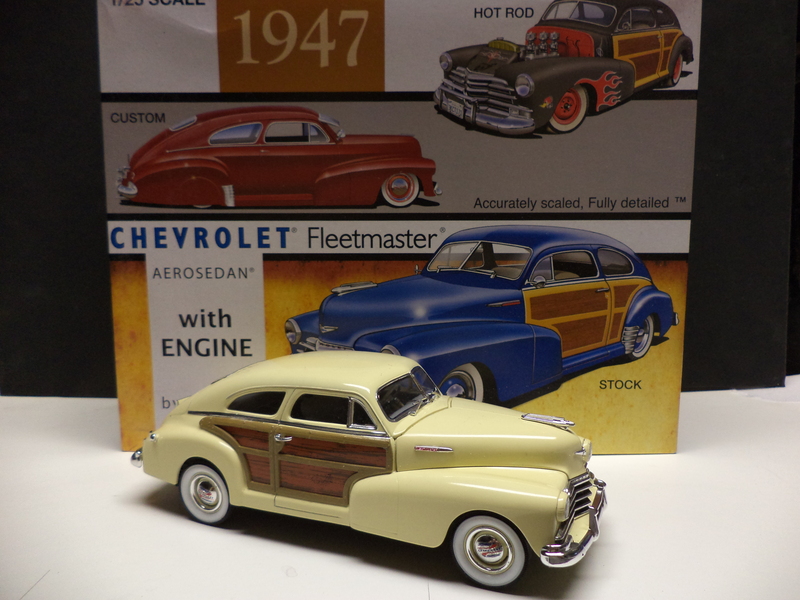 This is a real sweet model kit and lots of fun to build with relative ease . The instructions are fairly easy to follow as well. I’ve done five of the Fleetmasters and six of the coupes now and will most likely do many more as my customers request them. The kit is well thought out and the parts fit is way above average . 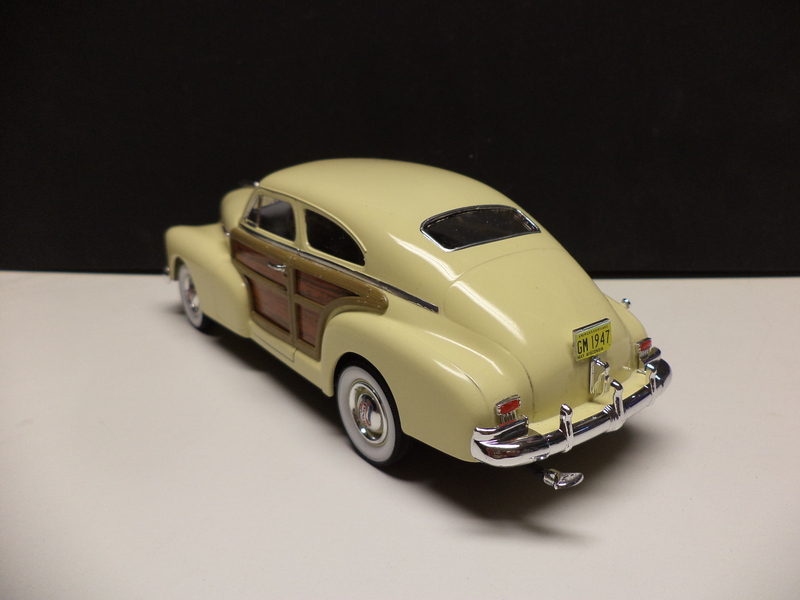 This all white plastic kit has several ways you can build: stock, custom or drag racer.